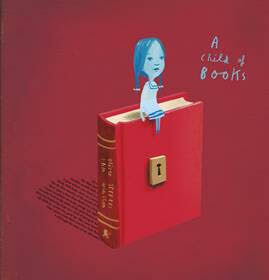 I’m a big fan of Oliver Jeffers who is a Northern Irish designer, artist, writer and illustrator who is best known for his picture books. My favourite is an early book called Lost and Found about a boy and a lost penguin who become friends. His new book is called A Child of Books and it’s out in September. Written and illustrated by both Sam Winston and Oliver, it’s an ode to childhood books. 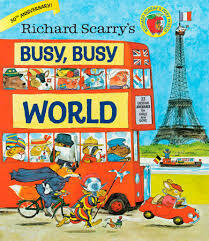 I loved this book and used to pour over the details in the pictures. It’s full of funny stories set all over the world, from Italy to Ireland, and I loved it so much I used to sleep with it under my pillow. I took ballet classes for years and always dreamed of one day being a ballerina. 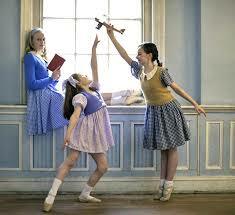 It was not to be, but reading about ballet and watching ballet is the next best thing. I even wrote about ballet in Ask Amy Green: Dancing Daze. 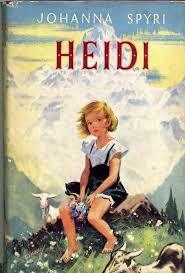 How I wanted to live in the Swiss Alps with a kind grandfather after this story was read to me. It’s such a wonderful tale, of friendship, overcoming hardship and being yourself. 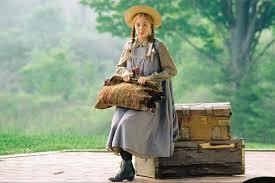 I’ve always admired Anne ‘with an e’ – she’s one of my favourite characters of all time. I like to think we’d be kindred spirits if we ever met. She has such a fun, feisty and true nature. 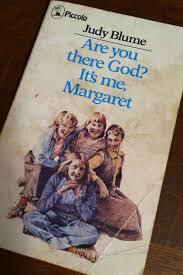 This book left a lasting impression on me as a young reader. I re-read this every year to remind myself what it feels like to be thirteen. It’s over 40 years old now but is still as fresh and funny as the day it was published. I first read it as a teenager, adored her honesty and humour, and Judy has been one of my favourite writers ever since. And pretty much all Enid Blyton’s books! I read my through them and adored their ‘Englishness’. This book was a real eye opener and I’ve never forgotten it. Patricia or ‘Patches’ is an English girl who has moved to Australia with her family. She has to deal with making new friends, adapting to a new life and growing up. Her new life isn’t always easy, but she deals with everything that is thrown at her with good humour and honesty. I was about twelve when I read this book and it was the first time I’d come across a girl getting her period for the first time in any book – and I was so grateful that someone had written about this (I was anxious about the whole thing, as many teens were in those days as it wasn’t talked about much – things are a lot more open now, thank goodness), a subject that is also dealt with in Are You There, God? It's Me, Margaret. Both these books inspired me to write Ask Amy Green: Summer Secrets. Amy gets her period during her summer holidays and rings her aunt, Clover (who is 17 and also her great friend) to ask for advice. 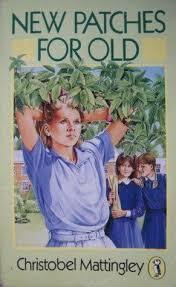 Often people say there were no teenage books in the 1970s but there were - including this one. I’m so glad I read it, it really did make a difference to my life. These are some of the books that made me. What books made YOU? I’d love to know! This blog first appeared on Girls Hearts Books website.